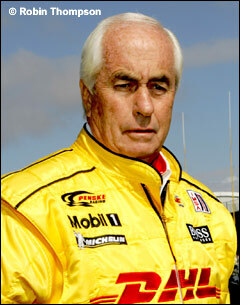 Penske Motorsports will enter two cars in the full ALMS in 2007, in LMP2 again, and will not be racing the cars in any other events in the new season – so no Le Mans for the ‘factory cars’. Porsche’s official release makes it clear that the team will ‘concentrate exclusively on the American Le Mans Series’ 12-race schedule for 2007 with the goal of winning the LMP2 championship, and will not contest other races or series with the cars, including the 24 Hours of Le Mans’. 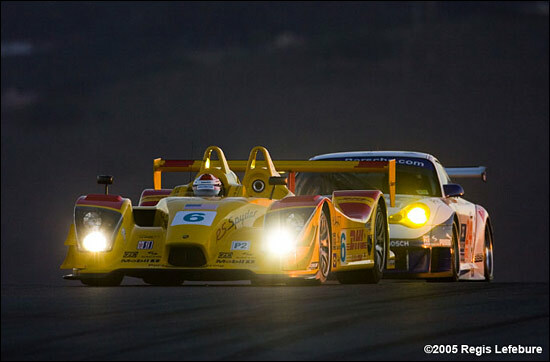 The driver line-up for the two cars has not been decided – although there are mutterings behind the scenes that one or two of the drivers present at Petit Le Mans may be racing another kind of prototype altogether in 2007. “Utilizing the next generation of the RS Spyder, we are very optimistic this (year’s) success will continue next year,” commented Hartmut Kristen, Porsche’s director of worldwide motorsports. Porsche has already sewn up the manufacturers’ title in LMP2, and is favourite to win the drivers’ title too – but there are still other possibilities at next week’s last race of the 2006 season. The original RS Spyders made their debut at Laguna Seca a year ago, and seemed perfectly suited to the track.